The specific concept of 'trinity' isn't specifically spelled out in the Bible. Instead, we have deduced from various scripture verses that there are three distinct persons within the Godhead. What is the Biblical evidence that there are only three persons in the Godhead? Why don't trinitarians believe that there could be others that are not revealed specifically through scripture, or that we can attribute multiple "persons" to a single concept of Father or Holy Spirit? Beyond that, I know of no other verses that limit the Godhead to three persons. We are baptized into the name of 1) the Father, 2) the Son, and 3) the Holy Spirit. God's revelation of Himself was progressive. After Genesis 1 was written, that was not the complete revelation of God to man. There was more to reveal. The "mystery" was revealed in Christ. So, after God the Son Himself came to earth and revealed God to us, it would seem that this revelation is complete. What greater thing could God do to reveal Himself than to come to us Himself? So, while the Bible does not explicitly say "Three in One", it does reveal God as such. We know that there is only one God. We know that Jesus was the visible image of God in all of the Fathers fullness. We know that the Holy Spirit is also God. We know that we are all like Jesus, in that the Holy Spirit dwells within (some of) us. Scripture makes no mention of any other part of the Godhead other than the four premises above. I cannot see how anybody would accept that we are any significant portion of that Godhead. I would say that we do know there are only three persons in the trinity. So that in this verse [1st Corinthians 1: 30] is shown our dependence on each person in the Trinity for all our good. We are dependent on Christ the Son of God, as he is our wisdom, righteousness, sanctification, and redemption. We are dependent on the Father, who has given us Christ, and made him to be these things to us. We are dependent on the Holy Ghost, for it is of him that we are in Christ Jesus; it is the Spirit of God that gives faith in him, whereby we receive him, and close with him. The saints have both their spiritual excellency and blessedness by the gift of the Holy Ghost, and his dwelling in them. They are not only caused by the Holy Ghost, but are in him as their principle. The Holy Spirit becoming an inhabitant, is a vital principle in the soul. He, acting in, upon, and with the soul, becomes a fountain of true holiness and joy, as a spring is of water, by the exertion and diffusion of itself. The Father: The giver of beneﬁt. The Son: The purchaser of beneﬁt. The Spirit: The beneﬁt purchased. And each person of the Trinity is equally glorified in this work: there is an absolute dependence of the creature on every one for all: all is of the Father, all through the Son, and all in the Holy Ghost. Thus God appears in the work of redemption as all in all. It is fit that he who is, and there is none else, should be the Alpha and Omega, the first and the last, the all and the only, in this work.—Jonathan Edwards, "God Glorified in Man's Dependence"
I'm grateful to Richard M. Weber's paper "The Trinitarian Theology Of Jonathan Edwards: An Investigation Of Charges Against Its Orthodoxy" [PDF] for this way of expressing the roles. Edwards translated the preposition in him. I've asked a question on whether Edwards' translation is supportable here. In the Book of Job, there are nine speaking roles. Job's wife has a one liner, so I will ignore her. God and Satan speak in the prologue, God as Trinity (Elohim, the strange plural-singular construction, is used as his name) and Satan representing all his minions. Job and his wife also speak in the prologue. In the main dialogue, there are six speakers: three friends (Eliphaz, Bildad and Zophar), Job, Elihu and the voice from the whirlwind. Thus the sequence is Father of Lies, Evil Spirit, Anti-Christ. The assignments of the people to their roles in the Trinity thus has support in the details of their speeches as well as the overall structure of the document. There are three persons in the Godhead and each has a speaking part in Job. There are three distinct antagonistic roles, and each attacks one person of the Trinity. If there were more persons, there would be more parts. Not the answer you're looking for? 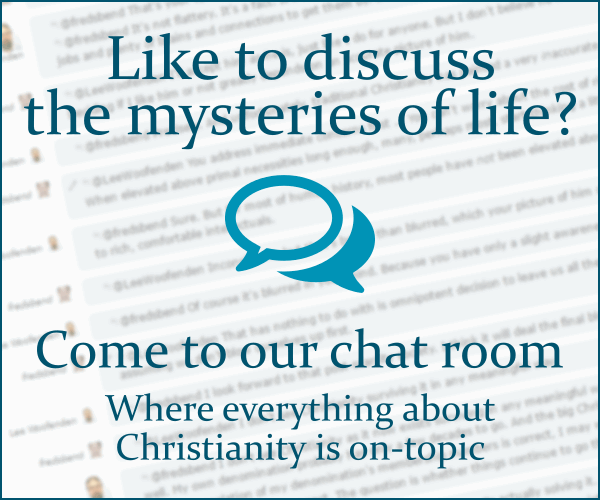 Browse other questions tagged biblical-basis nature-of-god trinity persons-of-the-trinity or ask your own question.